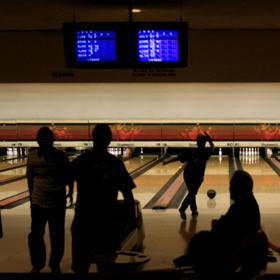 FINAL STRIKES » League bowlers enjoyed some of their last frames yesterday at Kam Bowl in Kalihi. MAK Bowl will close its doors over the weekend after nearly 50 years in business. They ditch into seas off Koko Head when gas apparently runs out. Carriker and Borm are the 57th and 58th fatalities with Hawaii ties since March 2003. The wiring was left after two men fled police Wednesday morning. The venue for independent, foreign and art films will close after 67 years. Hannemann said the city will air the video at satellite city halls and other locations. We're all recipients of that almighty "You're mine, I love you" message. The two college players duel for the coveted championship today. The rules would place more of the burden of proof on employees. Republican opposition has stalled energy legislation in the Senate.